Have you ever been in the middle of a terrible situation? Have you ever been part of a huge movement that had too many problems? In this story Israel is in the middle of panic as a country attacks them and raiders from other countries keep coming into Israel. It’s not one of Israel’s brightest historical moments. King Jehoash experienced a series of emotions that some of us are all to familiar with: uncertainty, disaster, then panic. One of the prevalent themes of the Scripture is that God is present and acting for us in these moments. We may not see it, but God is always on the verge of doing something profound within our moments of doubt. King Jehoash was scared for Israel. So he goes to see Elisha, who is at his final moments of life. After a series of seemingly pointless tests, Elisha goes on to tell Jehoash what is going to happen in a nut shell. However, he points out that a little more action on the King’s part would have allowed for him to have a stronger victory. As that story goes on, Elisha’s dies and his proclamation is upheld. It has to be one of the strangest moments for Jehoash. In the midst of tension and doubt about if God will be acting on his behalf. Even the proclamation made by Elisha made it seem that there would be some victory and then trouble, perhaps even death. At the end of the passage God still protected Israel despite the proclamation. His love for Israel wins out. He wanted to bless them and not destroy them. (There is even a resurrection story wedged in here, but we’ll avoid details about that story here.) I’m sure Jehoash still had some questions about God, as most people seem to in this story, but God was still there while he questioned and panicked. It’s peculiar for most Christians to think about this being Elisha’s last recorded act as a prophet. This was a moment when people were doubting God and disobeying Him. Being part of God’s mission means acting in faith, but faith has always been messy. Faith deals with the unknowable and the unseen, so its easy to doubt and not God seriously. In the midst of faith, we might see some moments of struggle or even oppression that lead either to thinking God is apathetic towards us or does not exist at all. It’s at this kind of moment that God is still be faithful. He has promised to rescue His people regardless of the people who mislead it or make it something wretched. He is always in the act of rescue despite the doubts that His people have. He even is in the business of saving those outside the realm of His Kingdom through Christ. This God does not care if you are completely aware of Him or fully certain about His plan, He will act to save you and benefit you anyways. In the end, the King gets back the land for his people due to God being with them. Heroic faith can sometimes be weathering the storm in hopes of the better future. That is the nature of hope. The one thing that can bring you through doubt is hope. It does not mean that you will not doubt. That is going to happen regardless of whether you hope or not. What does matter is the hope that God will do something for us. He will not leave us hanging. He will rescue in the end. 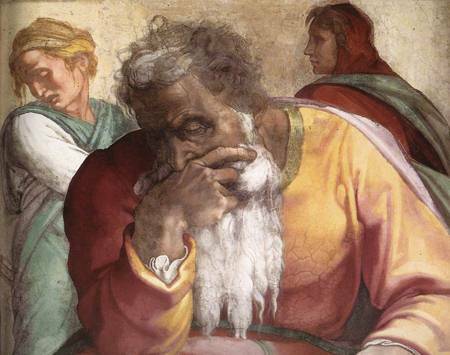 If you want an example of a prophet who had a rough time, go to Jeremiah. The man was never listened to, was jailed, and was even dragged into a form of exile when he ended up being right. He was recognized long after his death and never during his life. He was, without a doubt, a prophet that suffered. Why would someone suffer this much for a people? Jeremiah, throughout the book about his life work, is a man of intense vision. Its neither a vision of destruction and judgement nor one of his own triumph and vindication. It’s not even his own vision. The entire book up to being taken to Egypt is filled with tension with a stubborn group of people who want to do things their way and against God. Even when he is in Egypt, the scene keeps playing out. Confrontation is a major theme running through this man’s life because God placed a vision in him. In chapter 20, Jeremiah begins to describe his life vision like a fire in his bones. He is describing that feeling of wanting to stop what he is doing, but then realizing that he just can’t. It points to something profound and unstoppable in Jeremiah’s identity. God keeps sending, and Jeremiah keeps going. There are more verses I could quote for you here, but they would be too many. Besides, you get a better view when read the entire book in one sitting. If you do not like reading, have it read to you, there’s an app for that. The best thing about Jeremiah is that I can see myself in Jeremiah. He acts and then struggles in confrontation with people who normally would have loved and cared about him. Being told no so many times can make a man go mad and lead him to be depressed, especially when he is trying to speak meaning into other people’s lives. Whether you are trying to speak a challenging word to believers or just trying to do something important, the word no is devastating, especially when you invest a good portion of your life to the effort. Have you even been in confrontation because you were trying to do the right thing? I’m not talking about just disagreeing with someone and stubbornly saying you are the one who is right. That sounds more like the wayward Israelite. The struggle here is about something that has been put inside you and is from somewhere outside of you. It’s not an emotion, it is an identity found in a vision and a mission. If you have that, you will always find that patience is something that is needed. 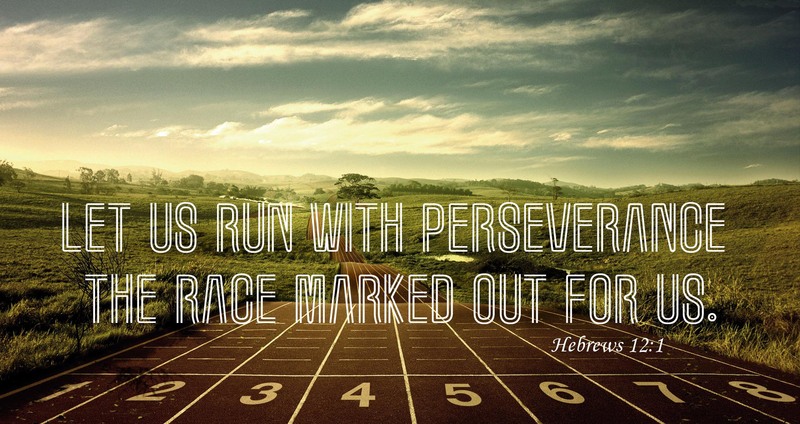 You cannot just run this race and expect it to be easy. It’s not a playground experience. It’s the Spartan Race. It’s like Arnold Schwarzenegger in Running Man…okay, terrible movie to use as an example, but you get my point. If you walk that path, you will have to struggle. Jeremiah is a legend to Bible readers. No one forgets a good story of struggle. You can hardly make some of the stuff in Jeremiah up. It is a book of a great teaching for those trying to live meaningfully for God and His mission. Live out the struggle with patience and you will get to the place God wants you to be. It might not be today. It might take years. But a day of hope is coming. When you talk with truth and grace and meaning to people, know that some will take it. But always remember that there are those who won’t take it; who can’t take it. Some of these people are outside of the Church and some are in the Church. You just have to keep speaking love and meaning to these people. Speak patiently and love patiently. It will hurt, but I think that loving and hurting will make our stories better than living distanced and lonely. Because that is what our heroes of the Faith like Jeremiah did. We depend on food and air for physical survival. To get food, we usually do everything from asking a servant to get it for us, to getting it at the grocery store, to begging for food on the streets. We strive to attain, but where does it truly come from? It can seem that with food, we are gaining our needs by our own strength. Reality, however,says otherwise. Food is a minimal provider of energy. It is true that hunger is powerful and starvation seems to be problematic in our world. Scientifically speaking, it is a minute source. Yet we tend act like this source of energy that we control provides the most energy. Air provides the most energy for the human body. Our bodies use the oxygen more than any other fuel we take in any other way. This is why we breathe all day and night as opposed to eating just a few times a day.We may think we have done everything to provide for our survival, but we are actually helpless to control and provide this necessity. Which raises the question, are who is the source of all we need and is there a greater work going on? In the end, we provide nothing and God provides everything. One way to realize this is to practice Fasting. Although you can fast from many things, the traditional object is food. The reason is that abstaining from this teaches us that faith and trust is needed when following God. Going without trains us to say that I am powerless to truly provide. Jesus said in Matthew 6 that we are not to store up our life treasure with this world, in selfishness and fear, but to allow God to provide the needs and take us to the places that we need to go. This is challenging, which is exactly why fasting is challenging. Trust is never easy for what we do not see, but when we trust God in our lives, we will in the end know His great peace and wholeness. Are confident in your ability to provide? Can you actually make things appear or grow for your survival? Are you willing to practice spiritual disciplines such as fasting in order to learn trust? Are you willing to let go of pride in order to trust God?